I first walked to the summit of Beech Hill in Rockport, Maine, about thirty years or so ago, soon after I moved to Maine. Or maybe even before, during an early visitI don't remember. Either way, that was also about the time I became a birder. In Austin, where I grew up, I enjoyed hiking and camping in the Texas Hill Country and knew enough about the wildlife to get by, but only when I heard the crazy, unfamiliar songs of those colorful little wood-warblers that first May in Maine did I turn into a true bird nerd. In the mid-1980s, I got a job with the The Courier Gazette, in Rockland, and started writing a nature column. 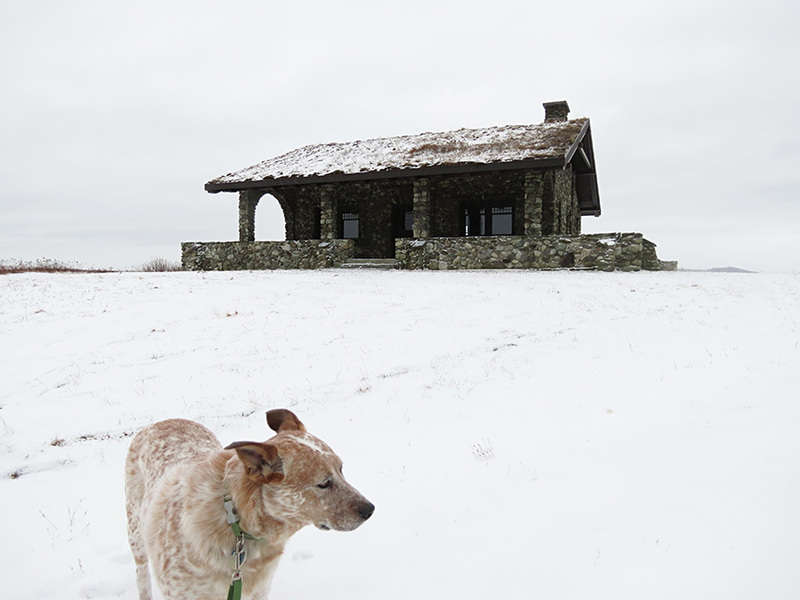 I gravitated toward the conservation culture, and even served on the first Board of Directors of Coastal Mountains Land Trust (then the Camden-Rockport Land Trust), which got its start securing an easement protecting Beech Hill, a uniquely open coastal hill with a stone hut called Beech Nut on top. Thereafter, other jobs and pursuits monopolized my time, but I never stopped hiking the hill every so oftenmore often when Three Islands Press opened an office about five minutes away. Sometimes, I'd take pictures with one of those newfangled digital cameras. Sometimes even pictures of birds. In the spring of 2010, I adopted Captain Jack, a two-year-old Australian cattle dog mix, from Lucky Pup Rescue. Jack proved to be a wonderful dog: attentive, quiet, patient, a fast learner. Since then, Jack and I have hiked Beech Hill nearly every dayall but a week during fall migration, when I visit Monhegan Island, and a handful other random daysand I've kept lists of the birds I hear and see. I always bring binoculars and a camera, with a goal of photographing birds. And I couldn't have dreamed up a better companion. In February of 2014, I gave a presentation (sponsored by CMLT and Mid-Coast Audubon) featuring the birds I've seen and photographed in my thousands of Beech Hill hikes so far, and for that I made this website. I've improved it a little sincenot least, because I also maintain MaineSeasons.com, where you can buy fine art prints of a selection of these photos. You can also read my daily musings (or at least see my daily list) at BirdReport.com. To navigate between photos, click the triangles to the left or right of any page. The first 160 photos or so comprise a chronology of about a year, from January 2013 to January 2014; the final twenty-something photos document a few other interesting Beech Hill sightings I've had in earlier years. To view the official Beech Hill Bird Checklist, click the warbler icon at the top right of any page. The names of species with photos here will be bolded in this list; simply click the name to display the associated photo(s). Some of these photos have a video associated with them; if they do, you'll see a "Video" link at the bottom, under the caption. Click it! A subset of these photographs may be purchased as fine art prints; if the Beech Hill Bird Checklist icon is red, that photo may be purchased as a print by clicking "Buy" at the top of the page. If you'd like to search for a particular species, click "Search." I'll continue to add photos to this site as time marches on. If you have any comments or questions, or simply want to get in touch, please feel free to send me email at willson@3ip.com. Thanks very much for stopping by.